Congrats,you are finally making one of the biggest decisions of your life ! Let us help you create the dream wedding you have always wanted ! We take care of every detail, expertly coordinating events for flawless results. Working with the best suppliers, responding to your requirements; whatever you need, we're here to ensure a stress-free planning process, so you can relax as your perfect day takes shape. This package is for the couple who have planned their wedding to the T, but would like the assistance of a wedding coordinator, for on the day, to ensure that the wedding goes according to plan. 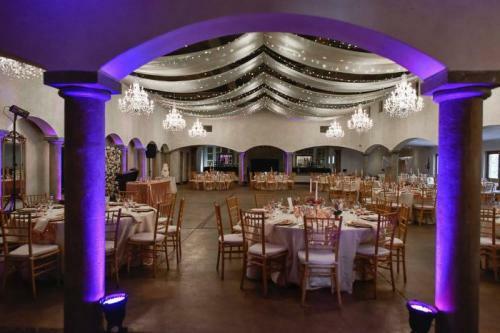 We set-up your dream wedding ! This package is for the couple who has planned the majority of their special day on their own and now need to ensure all of your hard work doesn't go unnoticed, AND dont want aching feet from running around meeting suppliers and accepting deliveries on the day. The Bride does not want to check that tables are set-up correctly as per her exact desire. She wants to have a relaxed, stress-free morning in her room and at the venue knowing it will all be done by a professional. Venue needs to be in 25km radius of Kyalami. If not petrol will be charged additional. You got engaged and ready to get married. But where to start ? Do you have all these ideas but struggling to find a way to put it all togother ? You are working full time and your job does only allow you to browse the internet but to drive around to meet suppliers and to get quotes and to get ideas, problem arises. . . Stop, take a deep breath and exhale slowly. We do it all for you. A stress-free planning process from start to finish. You give us your framework of likes and dislikes and we start the planning process - Making It Uniquely Yours. You have all the help you can think of and planned your wedding to the T, but you are so unsure if it all comes together and not sure if you are happy with the theme and colour combinations. . . ? Then all these questions again : Moddern ? Classic ? Lavish ? Vintage ? The opportunities are endless . . .
You would love a wedding that is simple yet elegant or is it maybe something that's chic and glamorous ? Stop - breath, we are here to help !